United Sangdupota Intellectual Forum (USIYF) raised concern on the slow work progress on Itanagar to Jote stretch of road which is still in dilapidated condition till date. 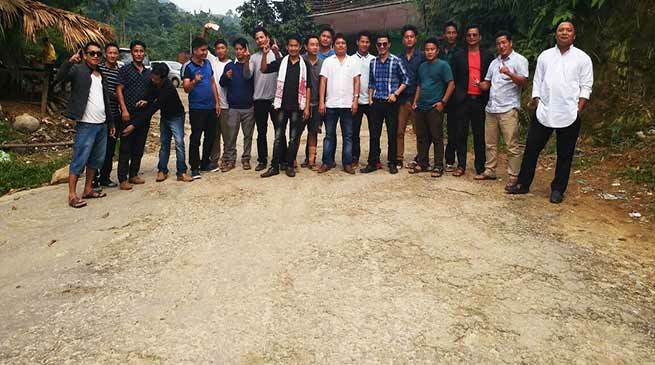 The team of USIYF lead by its chairman Teli Tadap on Sunday visited the sites of ongoing maintenance work of Itanagar to Jote road (24.00 km) and found slow progress of work. The tender was floated earlier on March 23 by PWD Doimukh Division and onwards the tender process was delayed by executing authority and work order was lately awarded on October 30. A release issued by USIYF said that even after passing of couple of months but the said road condition is still under dilapidated condition as before. The USIF urges the proprietor of M/s N.T Agency and executing department to work on war footing speed before the start of rainy season, for the convenience of concern public and commuters of the said road. Meanwhile USIYF also urges the executing Agency /contractors and concern department to complete the maintenance works on stipulated time as per tender guideline without comprising the quality of work. On the mean time USIYF appeals state Government to immediately sanction and release sufficient additional fund within this financial year 2018 for the development of the said road as announced earlier by Hon’ble chief Minister Pema Khandu . USIF along with public of the area shall strictly monitor the said on going tender work and in case of further delays to start the work or in failure to complete the work on time USIYF shall go for agitation and further legal complaint.